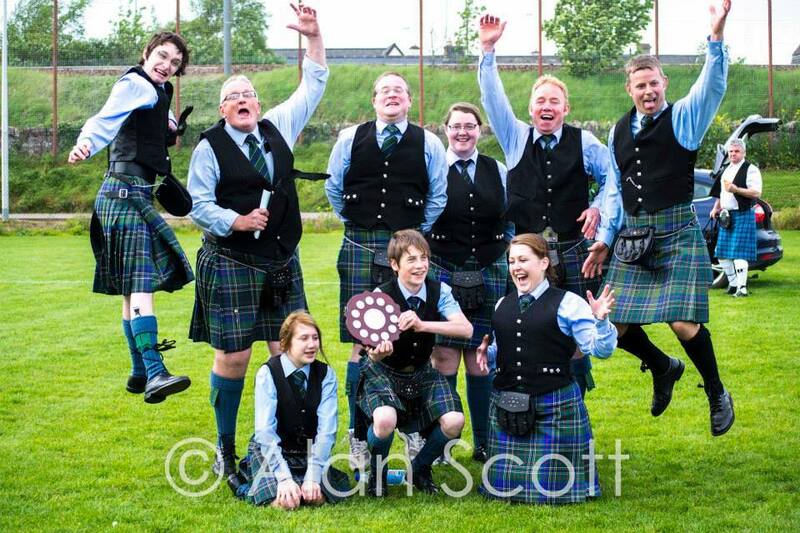 Hawick Pipe Band Jumping High. Great start to the season coming a respectable 3rd in the first competition of the season at Dunbar. Some of the young pipers and drummers of Hawick who took part at Melrose as a late entry with the absolute min number required to compete with which is 6 pipers as half the band are on their annual holidays and came away with the biggest hall of trophies so far in their first year on the competition circuit, 2nd in Grade 4, best Borders band, and a half share of a £100 prize for best band parading up the street, a joint effort with the very successful Scottish Borders Pipe Band who were grade 3 And grade 2 winners on the day. In 1991 taking a more active role with the Hawick pipe Band Allan started to teach a larger than usual intake of new learners for that year BruceCasswell, Colin Maxwell David Millar to name just a few. In 1993 Allan had one year away from Hawick to play with grade1 Polkemmet Under Pipe Major Davie Barnes who took the band to second place in the 1992 world championships, unfortunately polkemmet didn’t have the same success as the previous year and folded after Bathgate Highland Games, Allan finished the Remainder of that year playing with Peebles Ex-service Pipe Band Grade3. Allan started to teach the Bagpipes to the young kids of Hawick to replenish the slowly depleting ranks of the Hawick Pipe Band by recruiting young and old turning no one away who wanted to learn on a Monday or Thursday night. After 6 months David Millar a brilliant piper and former pupil of Allan’s Joint ranks to help the progress. Dunbar 2013 has finally arrived the first contest in the R.S.P.B.A calendar after 3 long years of hard practice the all new Hawick Pipe Band was now ready to compete for the first time since 2010 with only three original members leading the way Pipe Major Allan Smith, Pipe Sergeant David Millar and pulled from retirement Drum Sergeant Ian Dalgleish who played away back in the 60s everyone else in the band are total beginners. Reckoned With In The Future. The Hawick Boy's Brigade Pipe Band was founded in 1937 by Pipe -Major Robert Short.Within a year the Band was taking a active part in the life of the town and during the war years took part in every civic and charitable funtion. 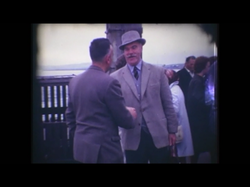 In 1946 the Pipe Band undertook its first big engagement with a week in Nottingham and this was followed in 1947 by a ten-day tour of Torquay. From then on the Band has appeared in every part of thr British Isles, from the Orkney Islands to Devon, and also in Wales and Ireland. Displays have been given in most European countries and they have appeared on television in Holland, Denmark and Sweden as well as the B.B.C. and I.T.V. A command performance has been given at Holyrood Palace. For twenty consecutive years the Band was Border Champions and in 1966 Hawick Town Council presented to the band a pipe banner embroidered with the town crest in recognition of the great work done for the town both at home and abroad. Pipe-Major Short was still in Charge Up and till his Death in July 1987. As the years progressed in respect of The Hawick Boys Brigade Pipe Band there was a wish to retain the skills of boys who had become too old for the brigade but who had a strong interest in continuing as playing members. Sadly with over 50 year service to the Band Roderick Passed away Suddenly on Dec 12 2010 a great shock to all who knew him.